The Gudetama Fluffy Ankle Socks by Sanrio Japan is a cute addition to your wardrobe and is great for keeping your feet warm or cosplaying. The socks are very stretchy and very fluffy and thicker than the usual socks, so great for winter. 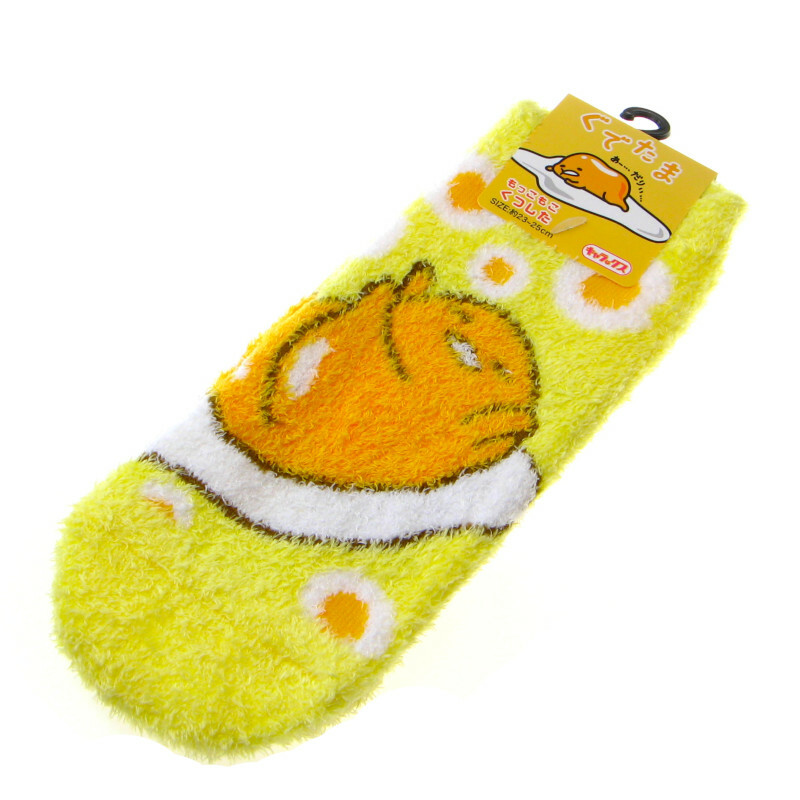 It also features Gudetama design with checks. Socks will fit approx a UK 3-6 (23-25cm Japanese size). Images are for illustrative purposes only. Designs may vary. Genuine Sanrio Japan licensed merchandise.